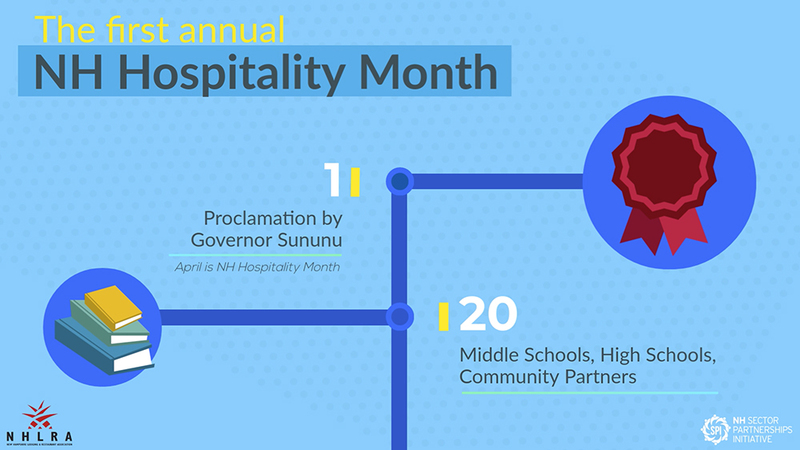 The hospitality and tourism industry is integral to the success of New Hampshire’s economy. However, many hospitality jobs remain unfilled. The industry employs more than 65,000 people across approximately 4,500 businesses and contributes $330 million to the state in rooms and meals tax. Through 2022, the projected growth in accommodation and food services is 10.4% and arts, entertainment, and recreation is 11.4%. As a result, the workers in New Hampshire have access to diverse opportunities and career paths if the right workforce training opportunities are available. Sector champions are business leaders, colleagues, neighbors, and officials from your community. They are put in place to help connect the businesses and build the critical partnerships necessary to develop training programs and other workforce services. With deep expertise in the hospitality industry, these individuals are committed to growing New Hampshire’s hospitality sector. If you have identified needs that your current training process is unable to meet, or you need your existing team to learn a new skill, NH SPI is for you. Drawing from the many existing workforce training programs, the NH SPI team will map your needs with state and federal funding and training resources to create a solution that works for your company or organization. Rob McCarthy’s decades of experience in the hospitality industry led him to his latest venture; In 2016, he divested his founding partnership in Chartwell Hotels LLC to create The Melan Hotel Group. His prior roles include senior vice president of operations for Linchris Hotel Corporation, a 24-unit hotel chain and management company and the opening of the prestigious, 4 Diamond Inn at MIT in Cambridge, Massachusetts in 1988. Rob also served as the opening general manager and project manager for Sonesta International Hotels Luxor in Cairo, a 224-room, five-star hotel with six diverse dining concepts. He was the general manager for the Flatley companies’ Tara hotels from 1990 to 1995. He holds a Bachelor’s degree in Hotel and Restaurant Management from the University of Massachusetts, where he currently serves a guest lecturer and the chairman of the advisory board for the university’s hospitality and tourism program.